UPDATE, 10am: The T-level action plan has now been published. To read it click here. The first three T-levels have been announced by the education secretary. Qualifications in digital, childcare and education, and construction will be taught by a small number of providers from 2020, according to today’s announcement. 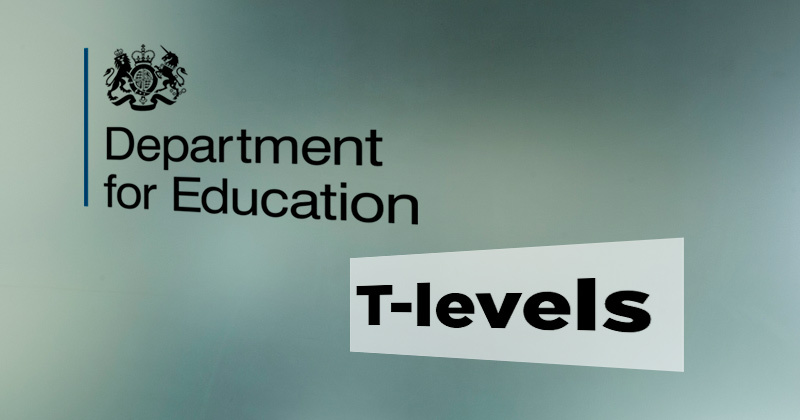 The Department for Education’s T-level action plan, due to be published later this morning, will set out how the new qualifications will be developed and delivered. But just one ‘pathway’ from each of the three ‘routes’ will be ready in time for the 2020 deadline, as FE Week has previously reported. And the government has also admitted that it will be 2024 before the “vast majority” of providers are delivering T-levels. 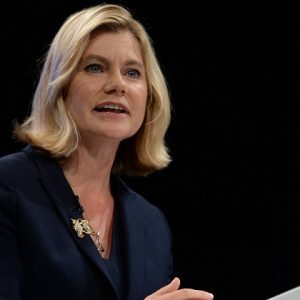 “We are transforming technical education in this country, developing our home grown talent so that our young people have the world class skills and knowledge that employers need,” said Justine Greening in her announcement. The timetable below explains how T-levels are being developed for 11 of the 15 technical routes set out in the post-16 skills plan last July, based on proposals put forward by the government-commissioned Sainsbury review of technical education. Each route brings together related occupations in a particular sector, in order to provide “clarity about which programmes to follow in order to target particular careers”, according to the Sainsbury review. Each route is expected to have between three and five pathways – which the DfE today described as “a number of specialisms” within each route, “clustered together in a straightforward way so that young people can see a clear path to the occupation of their choice”. The three qualifications being developed first are the education pathway in the childcare and education route, the software applications design pathway in the digital route, and the building, services, engineering pathway in the construction route. These will be delivered by a “small number of providers” – with the process for determining which providers to be confirmed “during autumn 2017”. All the pathways for these three routes, plus a further three “priority routes” – legal, finance and accounting; engineering and manufacturing; and health and science – are due to be ready for delivery by 2021 by “selected providers”. And all pathways in the five remaining routes will be “available to be delivered by providers who want to or are able” in 2022, according to today’s announcement. However, the “majority” of providers are not expected to be delivering the new qualifications until 2024. Today’s announcement comes three months after skills minister Anne Milton confirmed that delivery of the first T-levels had been delayed by a year – from 2019, as originally planned, to 2020. A consultation on the new qualifications, originally planned for the summer, has also been delayed. The DfE won’t say why only one pathway is being delivered for the first three routes by 2020, nor how those pathways were chosen, now how the first six priority routes were chosen. FE Week also asked for more information about the process by which the first providers to deliver T-levels will be chosen, and whether the consultation is still going ahead. A spokesperson told us that all the answers to our questions would be in the action plan, which had not been published at the time of writing. The DfE has also today confirmed that chairs have been appointed to the panels of professionals who will advise on the content of T-levels, and panel members are in the process of taking up their roles. The DfE said content for the first round of the new qualifications will be developed with, for example, “industry professionals and employers – including EDF, Rolls Royce, Fujitsu, Lloyds, Morgan Sindall, Skanska and Morphy Richards”. FE Week previously reported that appointments to these panels still hadn’t been made in July, six months after the roles were advertised. In July the DfE committed £50 million from April 2018 – the first instalment of the additional funding for T-levels announced by chancellor Philip Hammond in March – to invest in “high-quality work placements”, which are intended to be a central part of all T-levels. But guidance on accessing this cash issued by the department was criticised by the Association of Colleges earlier this month, which feared that providers will struggle to fit in the minimum 45 days per learner. David Hughes, chief executive of the AoC, has been more upbeat about today’s announcement and told FE Week: “This is an important step forward in helping to develop a technical and professional education system in England which matches the best in the world. The Government has worked hard to build support for this from colleges, employers and from across the political parties – all of that is critical to making this a success. We have a culture in this country which has always under-valued anything other than a traditional route from school to university; we need to change that. “The new routes and pathways should provide greater clarity for students, advisers, parents and employers about what skills and qualifications are valued in the labour market. We need more people with strong STEM skills and to improve productivity across the economy so getting this right will matter for everyone over the long term. “Colleges are ready to deliver the high quality teaching, facilities and links to jobs which they are well-known for; the new investment announced earlier this year in the Spring Budget will help make this a reality.